Fin whales usually migrate across vast oceans. However, there is a population of them living in the Gulf of California all year round. A new study uncovers details about them. Fin whales normally migrate across vast oceans, but there appears to be a resident population living in the Gulf of California. Thanks to satellite tracking, researchers were able to find out more about a population of fin whales that have been living in the Gulf of California all year round, an unusual behavioural trait since this species is known to migrate great distances around the world. They published their findings in the recent issue of PLOS ONE. After tagging 11 whales in 2001, director of Oregon State University’s Marine Mammal Institute and co-author Bruce Mate and his team tracked the movements of nine of them for up to a year. Since then, they collaborated with colleagues in Mexico to further study the whales. "Researchers have known since at least the mid-1980s that fin whales inhabited the Gulf of California, but we just haven't been able to get much information about them. As it turns out, we had an important piece of the puzzle in the tracking data set we just hadn't yet fully analysed,” said co-author Daniel Palacios, who holds the Endowed Faculty in Whale Habitats position at the Marine Mammal Institute. 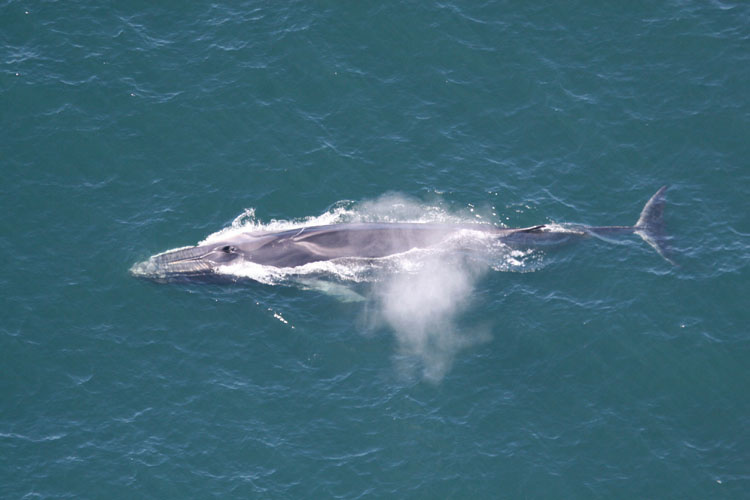 The resident fin whales are likely to spend the warmer months in one part of the gulf and the cooler months in another, as a result of changes in prey abundance. “The Gulf of California has a strong seasonal transition driven by changing atmospheric winds that produce upwelling and productivity. Over the course of the seasons, different parts of the gulf light up and there are hot spots of productivity. Whales have learned to identify these areas and have adapted their movements to track this seasonal shift,” Palacios explained. The researchers hope to return to the region and continue studying the fin whales. Palacios added, "Feeding year-round is what separates fin whales, blue whales and related species from other baleen whales. We think they are finding enough food in the gulf to stay there year-round, but we'd like to document that over a period of years."